For coconut lovers with the option of adding chocolate chips. Process Arrowroot biscuits until fine. Add coconut and blitz again. Pour in condensed coconut milk and optional choc chips and blitz until mixed. Roll into small balls. Leave as is or roll in coconut. Eat as is or refrigerate and serve. Nice and easy and will taste good. Thanks for the recipe. These went down well with all, the younger children had fun rolling into biscuits. Sounds very straightforward and easy. These would be good for Christmas. Easy and delicious. Simple as and so easy for children to finish off the mixture after been blitzed. absolutely love coconut, can’t wait to give this a go. This looks and sounds so delicious! I can’t wait to make this! 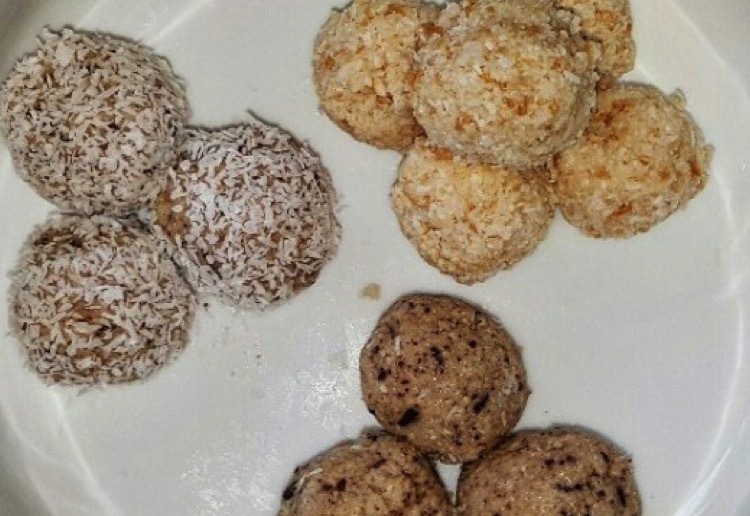 The simplicity of this recipe is great; coconut choc chip balls look fantastic!.